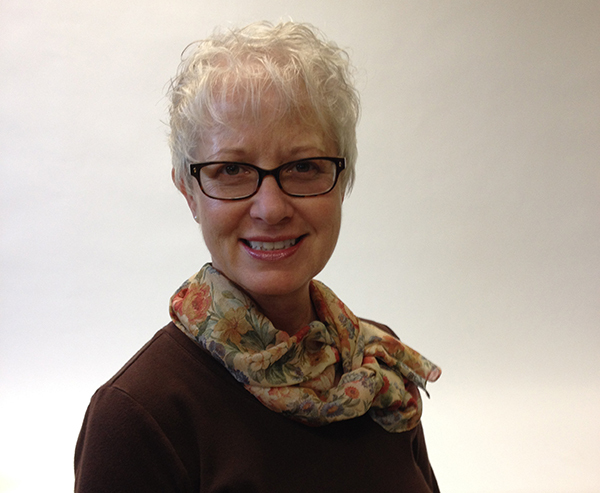 Ladonna Whitt is the recipient of a 2014 Distinguished Staff Award from Ohio State University. The recognition was a fitting captsone to her career at Ohio State ATI. Ladonna retired in August. Though her responsibilities pull her in numerous directions and toward multiple constituencies — students, faculty, staff, campus visitors, delivery people and customers to the Agricultural Technical Institute flower shop — Ladonna Whitt has the skills of a juggler. No matter how many tasks are thrown her way (and there are many), she has nary a drop. Whitt supervises the floral design lab as well as the flower shop operations, and seasonally she is responsible for planting and maintaining six displays and learning garden areas on campus and the decorative gardens at the Hawk’s Nest Golf Course in Creston, Ohio. It is a hectic schedule with labs scheduled back-to-back and the flower shop in operation at the same time. But Whitt, who has been at ATI 28 years, anticipates everything, including instituting a special processing procedure and labeling system to ensure flowers are sorted and handled properly. Whitt never loses her cheerfulness, whether she’s called on to lend a pivotal hand in preparing, designing and installing floral decorations for important university events or working one on one with students on proper corsage and bow techniques. Students, even those outside the floral degree and marketing program that she supports, flock to the available jobs in the flower shop because of Whitt’s demeanor. “A key to her success is her willingness to work right along with the students, never asking them to do anything she wouldn’t also do herself,” a nominator wrote. Whitt also contributes to the campus in other ways, including serving on the selection committee for the Ohio State ATI Distinguished Staff Award, which she won in 2011, and co-chairing a reaccreditation committee. She also volunteers to greet new students and their parents, adding a smiling face to the beautiful grounds she helps maintain.